Pastor Lois Sparks was born in Montezuma, Georgia and grew up in the church as a young girl. The Pastor of the church, first Lady and mother of the church had a positive influence on Lois’s love and commitment to Christ and the church. For Lois’s transportation to and from the church were the pastor and his family. Pastor Lois began to get a love for the Lord and church becoming a young leader among the youth. Pastor Lois accepted the Lord as her Savior at 9 years of age and began to grow in duties of the church at a young age. Because of the love for the church and the sincerity in things of the church Pastor Lois was promoted as the church secretary in her teenage years. During the fall of 1979, while living in Bad Krueznach,WestGermany Pastor Lois rededicated her life to the Lord. There the Lord began to establish Pastor Lois as an intercessor. The Lord spoke to Pastor Lois in a prayer meeting to work with His children and in turn, He would have someone to work with their children. That was the beginning of the hearing the voice of the Lord, the birthing of an Anointed Children ministry. It was an awesome time, inspiring the children to meet Jesus. Pastor Lois became a prayer warrior for her home, her church and her community. 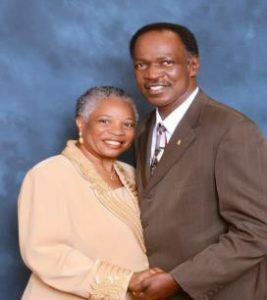 Pastor Lois and her husband Pastor Willie moved to Indianapolis, Indiana in July 1990 and attended a Pentecostal church on the Far East side of Indianapolis. Pastor Lois continued to minister to children and was commissioned to start a Women Bible Study Group and Sidewalk Ministries where children meet in the community on sidewalks to hear the Word of God. She keeps it real with the children desiring they too obtain a love for the Lord and His Church. Pastor Lois and her husband have over 40 years of marriage and are the parents of five beautiful young adults and five lovely grandchildren. The Lord continues to keep His Word concerning their children and the children of the ministries.